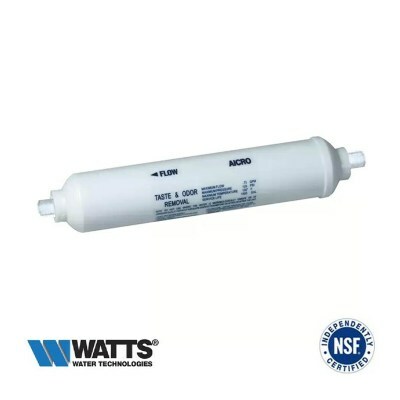 Watts AICRO Fridge Water Filter is a compatible replacement for HotpointFridge Filters but at a fraction of the cost. The filter contains Granular Activated Carbon which is highly effective at improving the taste and appearance of water supplied from your Hotpoint Fridge. This Hotpoint Compatible Fridge Filter reduces and removes chlorine, chemical disinfectants, organic chemicals and heavy metals which significantly improve the taste and odour from drinking water and has an average life span of 6 months. 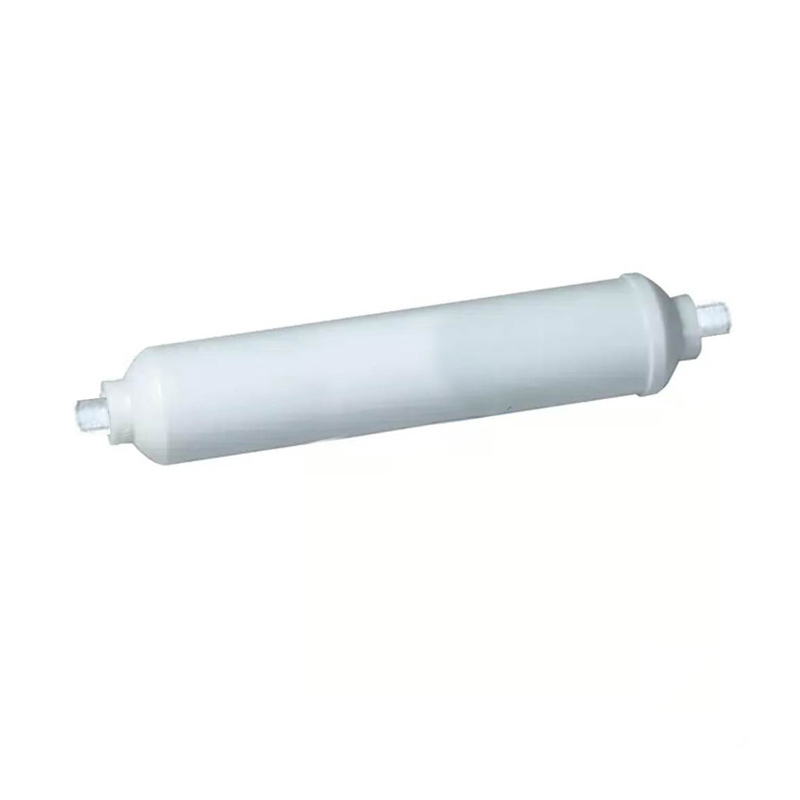 The Hotpoint compatible fridge filter which we supply is not made by Hotpoint, however it is at least as good in quality as the vast majority of people have noticed the very high cost of Hotpoint brand fridge filters which is effectively comparable to what we offer. Our prices are far better because we specialise in water filters and know how to produce high quality filtered water and do not charge you for the brand name which you may know cost between £40-60 and are not easily available. The price you see is the price you pay, FREE Delivery and no hidden extras. No extra connections needed. Fully compatible at a fraction of the cost. We even will send you an automated reminder email in 6 month’s time reminding you to change the filter and you can be sure we are committed to provide great prices always. Over the lifetime of your fridge, you can save up to £600 in cost of replacing your fridge filters by buying from Osmio Water. If you wish to return the filter for whatever reason, you have our no quibble 3 months Money Back Guarantee and we will also refund you the return postage cost. Changing the filter is very simple and only takes a short moment of your time. No plumber necessary. The filter should be changed no longer than every 6 months despite the indicator light on your fridge display panel as this light is set on a time alert and is not about amount of usage. Regardless of the volume used, once the filter has had water inside it, it will need changing after 6 months to prevent a build-up of bacteria. We will send you an automated email reminder when it's time to change. The compatible Hotpoint Fridge Filter has simple 1/4" push fittings to ensure an easy and smooth changeover. This is the most common size and it's very unlikely that you don't have it on your fridge. If you do have a different tube size that's no problem, we have the push fit adaptors to get you up and running and will post you these for free! Simply contact us after you have made your purchase if you need assistance with this.